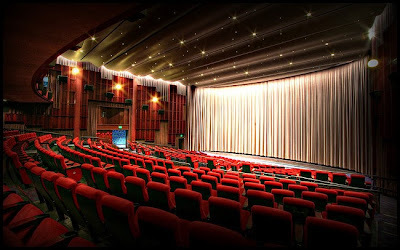 TwoOhSix.com: Cinerama 70mm Film Festival Ticket Contest! Here are the festival details and how you can win a pair of tickets. 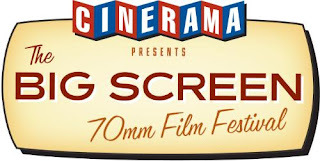 Beginning Friday, September 13th, the Cinerama will be presenting a non stop lineup of classic movies projected from genuine 70mm film prints including 2001, Spartacus, and How the West was Won. You are not going to want to miss out on these rare screenings in a format that defined the cinematic experience for generations of moviegoers. For your chance to win a pair of tickets to one of the six screenings listed below, just send us an email with your first and last name, email address, and one movie choice from the six available options. Winners will be chosen at random and will be notified by e-mail. 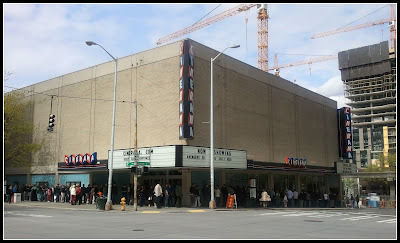 Winning tickets will be available in will call under each winner's provided name at the Cinerama box office the day of the show. Good luck! 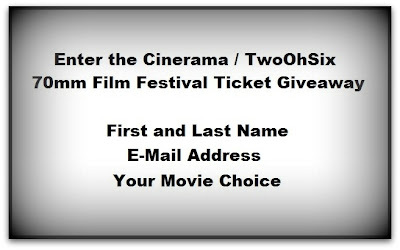 Please add "Cinerama Ticket Contest" to the subject line. One entry per person. Duplicate entries will disqualify entrant. Entries can be sent until 11:59pm on Thursday, September 12th. Please use the buttons below to share this with all your friends.